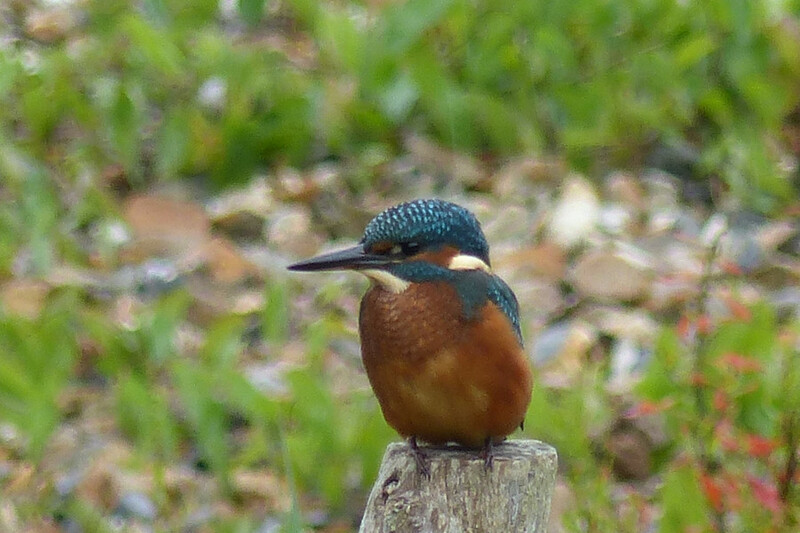 The common kingfisher (Alcedo atthis) is now called Eurasian kingfisher. 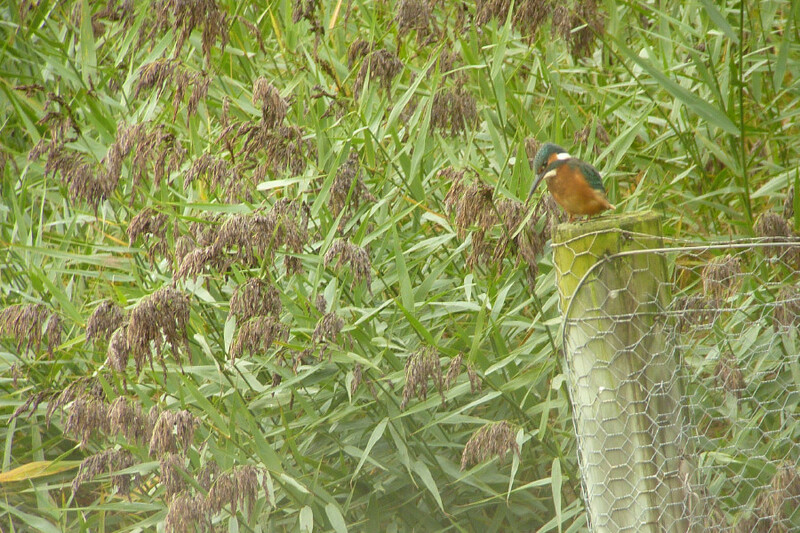 Worldwide there are many species of kingfisher but there is only one breeding in Britain. 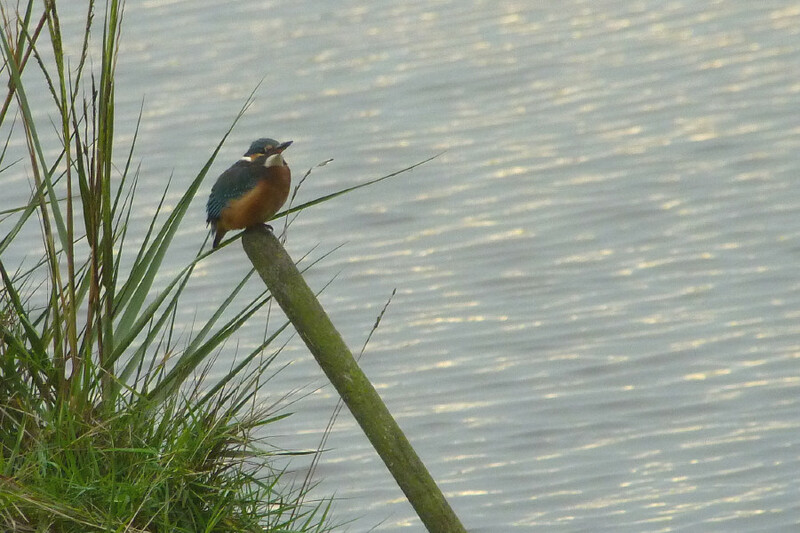 We are very lucky to see kingfishers so regularly at Pickerings Pasture, but they are not here all year round. Contrary to what many people believe the kingfisher is a small bird - about the size of a sparrow but its profile is really distinctive. It has blue upperparts with an azure splash on its rump and back. It is orange underneath and has a dagger shaped bill, which some people mistakenly think they use to spear fish. There is a rufous patch by the base of the bill and near its ear. It also has a white stripe on the neck and throat. The male and female are identical except for the lower mandible which is dark in the male and orange with a black tip in the female. The juvenile is similar but not as colourful. Their food is mainly small fish like minnows, sticklebacks and the fry of larger fish such as roach. They will also take aquatic insects such as dragonfly larvae and water beetles but at Pickerings Pasture their main prey item is small shrimps. They catch their prey by diving either from a perch or by hovering and they watch the water intensely with their bill pointing downwards. They often move their heads just prior to diving, probably to gauge the depth of the prey. They plunge into the water head-first. The bird flies back to a perch and a fish is manoeuvred until it is held by its tail and knocked against the perch until it is dead. However they always eat their prey head-first, which protects them from the spines on some species. Occasionally it will regurgitate a pellet which contains fish-scales and bones. 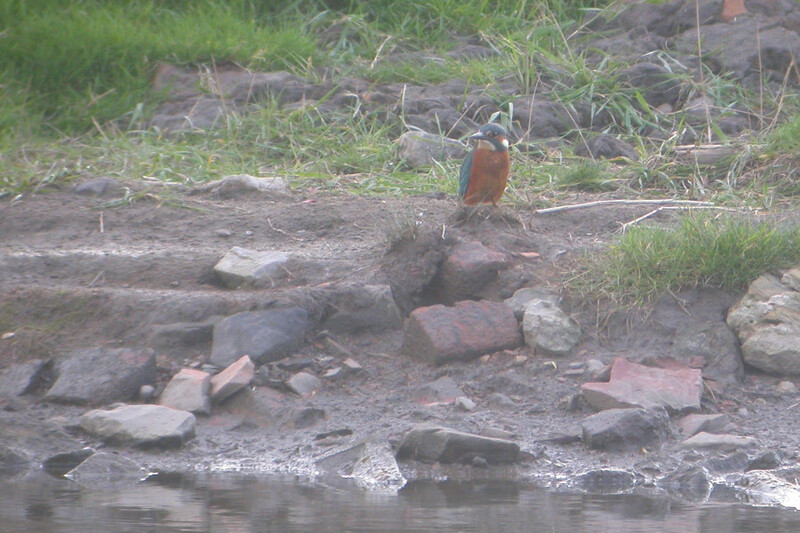 Two kingfishers by the dam: from the hide at Pickerings Pasture. 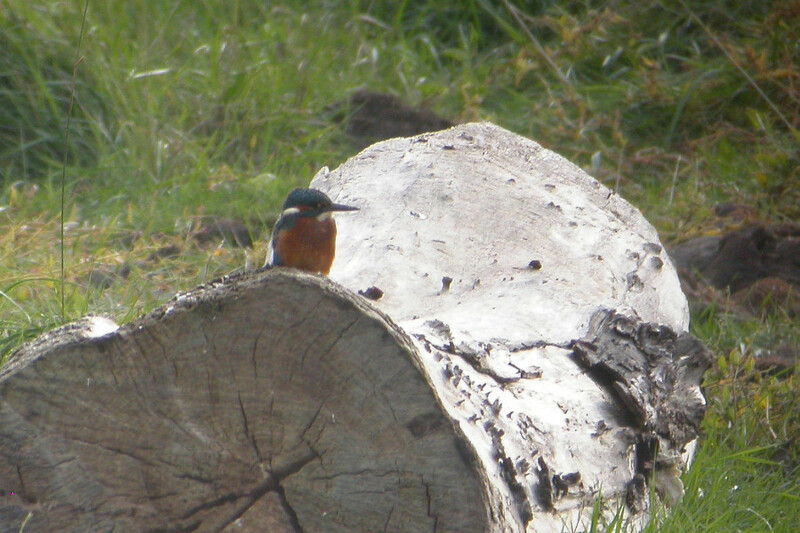 Kingfishers breed by still or slow flowing water such as lakes, rivers and canals. Their eggs are laid in a nest at the end of a burrow in the riverbank. They are widespread in southern Britain and the midlands but are less frequent further north, even up to Scotland. In winter, some individuals move to estuaries and the coast: away from areas where the rivers freeze. It is these birds that end up at Pickerings Pasture and the surrounding areas. We also get young birds that have been moved out of their natal territory by their parents. A few birds leave Britain altogether if the winter is really severe and their feeding areas are frozen - one local bird was recorded in Holland. 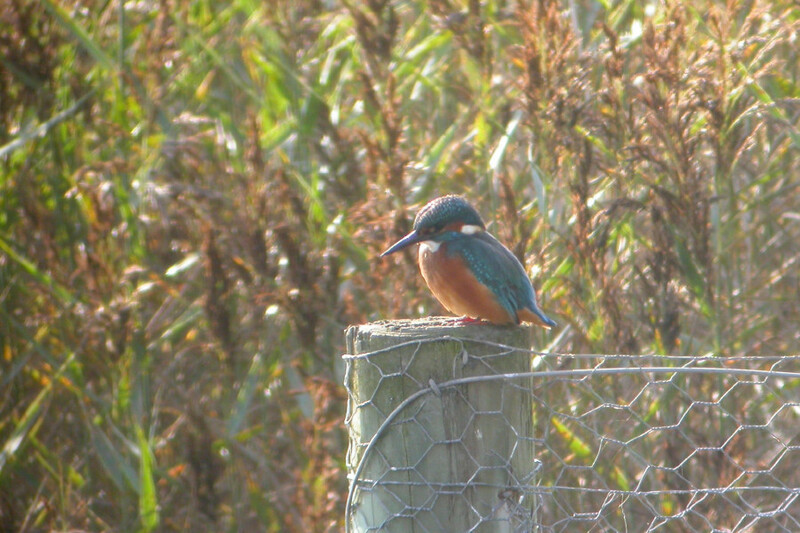 Our kingfishers usually arrive at Pickerings Pasture LNR in late July and remain until February. We have recorded up to three birds when they arrive in the area, but after a short while the numbers usually drop to one bird, which has probably driven all the others away. During the winter they are sometimes predated by sparrowhawks although we have also noted a stoat showing great interest! Their main feeding area is on the scrape pool where they can be observed from the hide, though they are seen occasionally up by the white bridge. 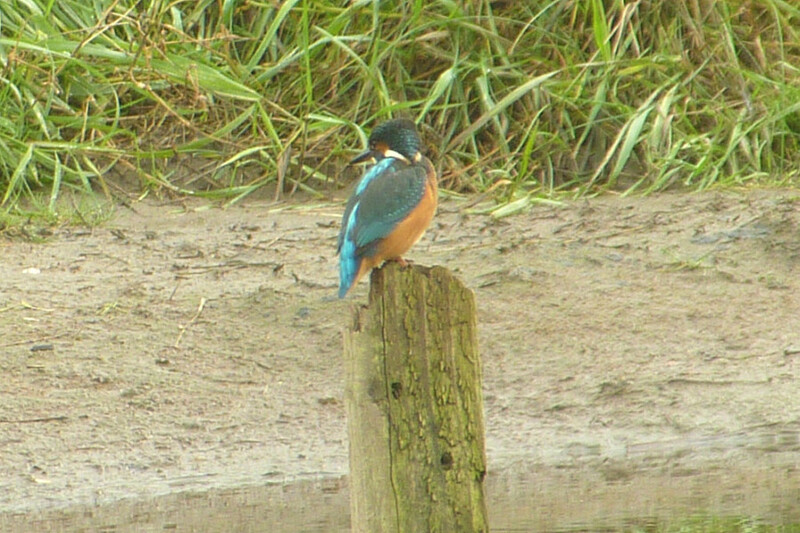 After high tides, when the scrape has been filled, the kingfisher often disappears for a short period until the sediment settles. 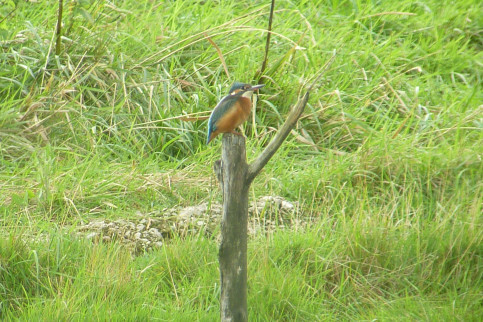 Often all you see of the kingfisher is a blue flash as it flies fast and low over the scrape pool but there are ways of finding them. As they fly they emit a short but strident whistle two or three times. They also spend much of their time hunting from a post, so a scan around the pool is worthwhile. We have ensured there are plenty of places for them to hunt from but one of their favourites is around the dam. Also look for them hovering over the pool staring intently into the water: looking for prey. Below are some of the kingfishers favourite places. On the fence post to the right of the pond. Although this log has now gone, the tide often washes in suitable logs. To the right of the island. 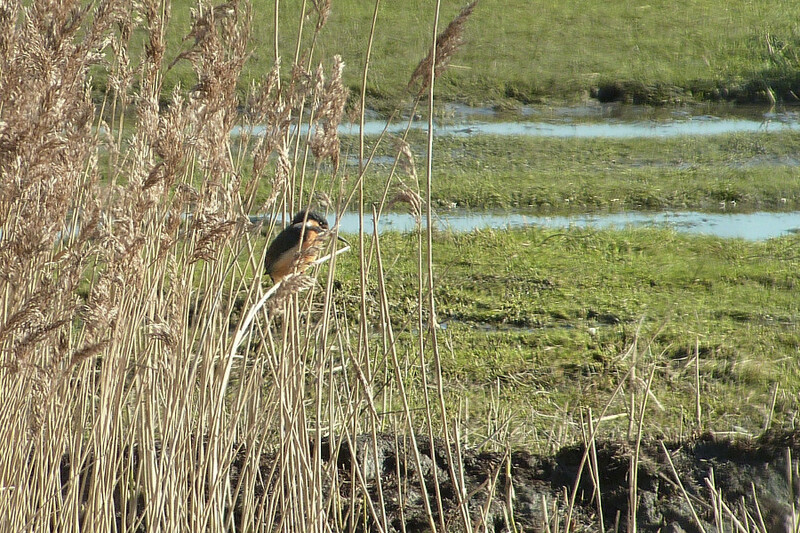 In the reeds to the left of the hide. 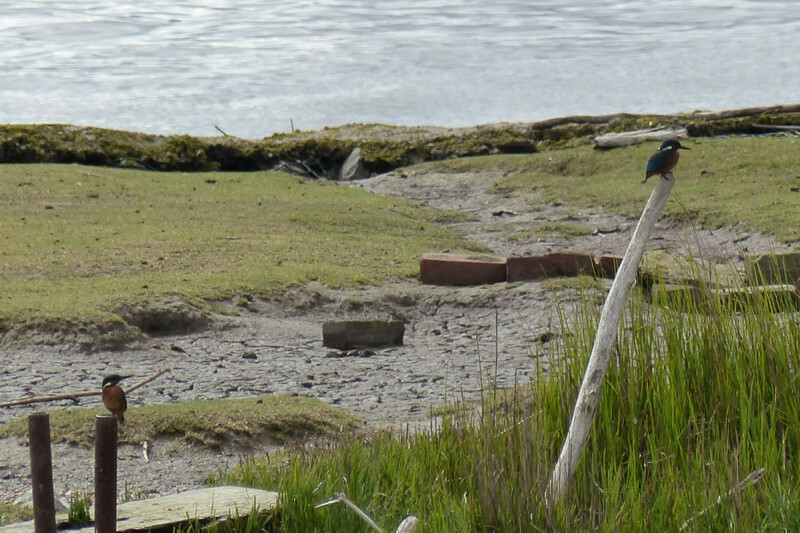 This post is directly opposite the hide on the far side of the pool. Just occasionally it is on the ground. 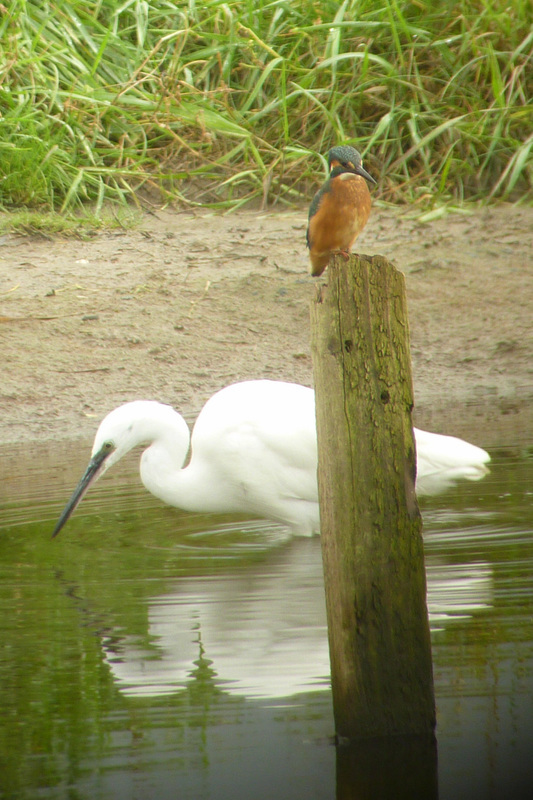 Sometimes they feed alongside the egrets, taking food they dislodge.